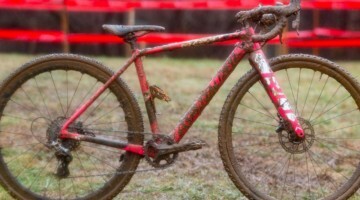 We're nearly finished featuring winning and interesting bikes from the 2016 Cyclocross National Championships. 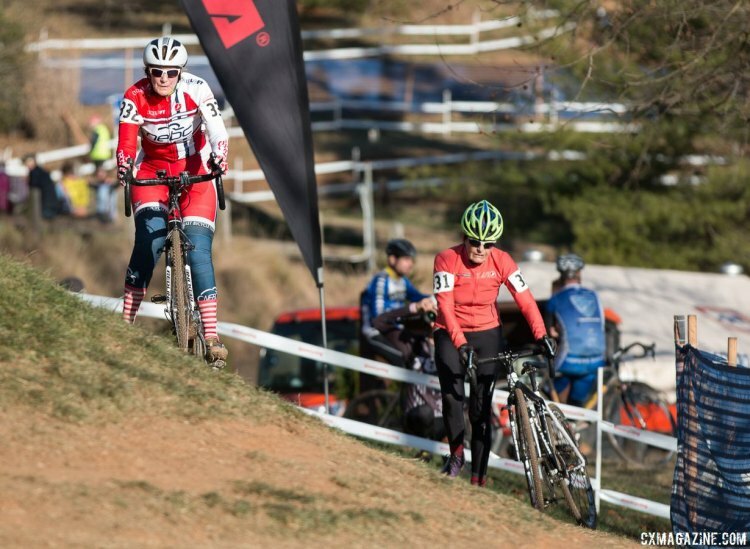 Today we're taking a look at Graciela Val's Cannondale Super X.
Val raced in one of the most inspiring races of the week in Asheville. The most senior Master Women raced a combined field 60-64, 65-69, 70-74 and Val's race, the 75+. For Val, herself a prior National Champion, her race was a real test going up against another former champion many times over, Julie Lockhart. The two women put on a dramatic fight for the title trading the lead throughout the race. Val was able to stay ahead after Lockhart tumbled giving Val the lead for good and the right to wear the Stars and Stripes for the coming year. 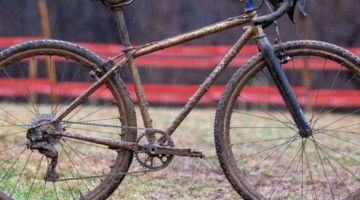 Here's a look at the reigning Women's Master 75+ champion's bike. You can see all of the 2016 Nationals bikes here. Val's bike is built around Cannondale's Super X. 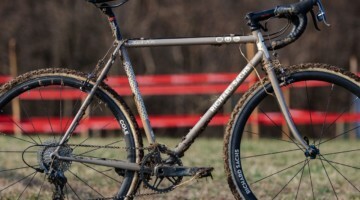 Unlike other Super X models we've featured from this year's Nationals, Val's is a cantilever model. 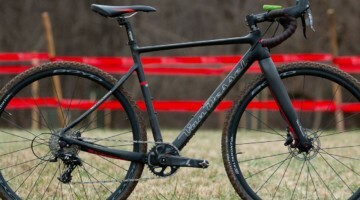 Cannondale, like other makers, went disc-only on their cyclocross offerings back in 2015. 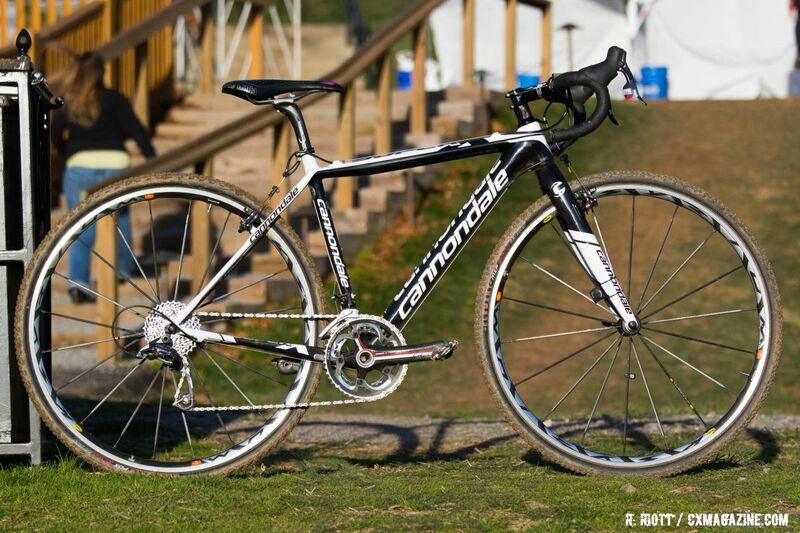 Val's bike is a 2013 model, making it among the last from Cannondale to feature cantis. 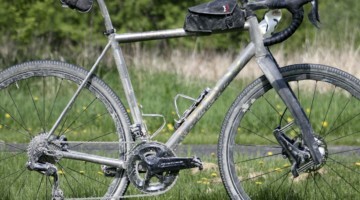 Val's drivetrain is primarily a SRAM affair. The shifters and front and rear derailleurs are all SRAM Force 10 while the crankset is an FSA K-Force Light carbon offering. It's a double ring set-up, still used by some SRAM riders, and certainly more common amongst those that haven't made the switch to 11 speed. While Val's outer ring reads 46/36, her inner ring is actually a 34 tooth option, a little lower for the dramatic climbs featured at the Biltmore Estate. Stopping power is provided by TRP in the form of their Revo X model. Val's cockpit is from Cannondale as well. 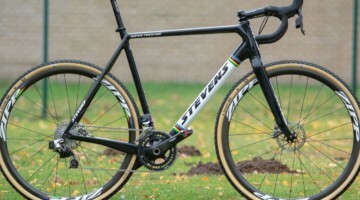 Both the bar and stem are alloy C2 models. 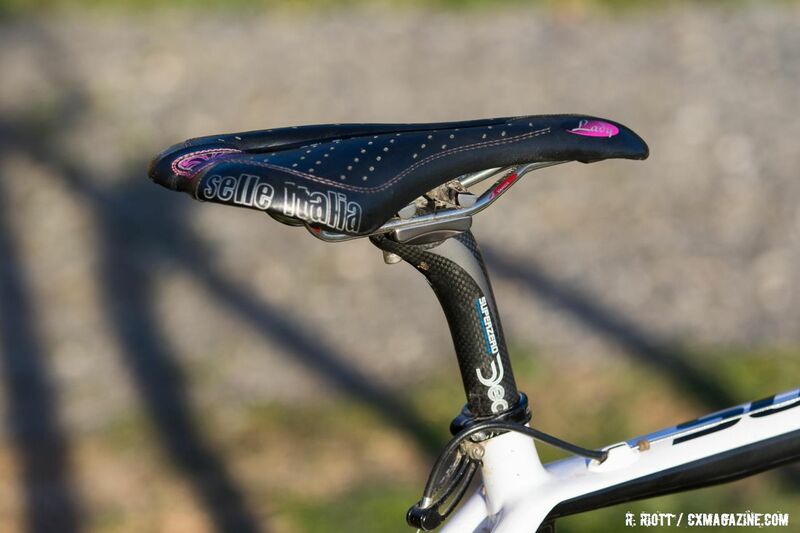 Her seatpost, a Superzero from Italian parts maker Deda, is carbon and holds her Selle Italia SLR Lady Gel-Flow saddle. The newer part offering on Val's bike is a pair of Shimano XTR M9000 pedals. Val keeps her wheels simple and runs the reliable Mavic Ksyrium SL wrapped in Clement's MXP clinchers. 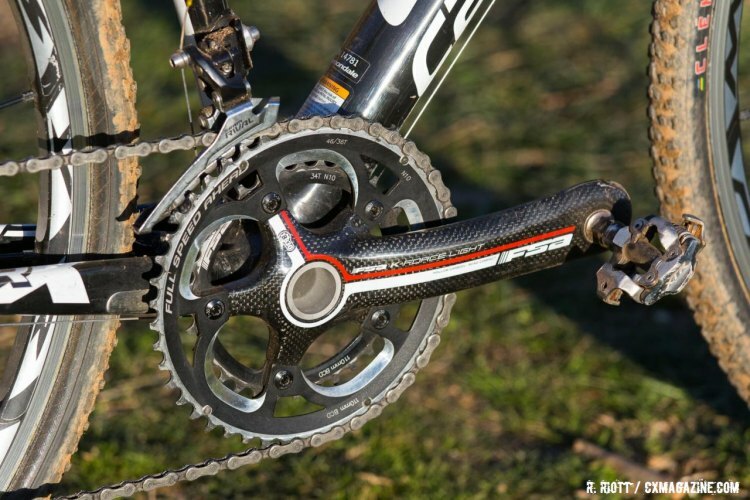 Editor heads up- crank photo supporting inner chainring adjustment to 34T also shows Rival front D, not Force. If corrected feel free to delete comment. Thanks!